This 216 square feet open space is well-located at the heart of Causeway Bay. 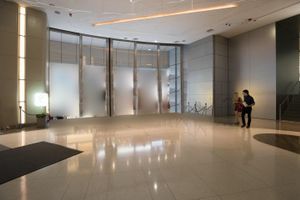 It is in a high foot traffic prime mall with direct access to the MTR station. It is available to rent for Pop-Up Stores and events. The open space is located on the first floor and is beside the atrium of the modern shopping mall. This large open space has a white colour scheme, with no shops to block its view. It is also located just next to the sliding door on 1/F through which shoppers enter. This gives the space clear visibility for any Pop-Up setting in the atrium.